The Men's Room My Ingrown Hairs Keep Coming Back! Shaving	No Comments on My Ingrown Hairs Keep Coming Back! Ever gone through a long stretch of not having an ingrown hair, and then BAM!… 3 pop out of no where!?! Suddenly you’re left wondering, what you did wrong and when. Well, don’t be too disappointed because there’s a reason it will happen from time to time. Here’s why. Hair has three stages of growth and each strand of hair is growing at different stages. Anagen – the active growth phase. During this phasae the hair grows 1 cm every 28 days. Catagen – also known as the transitional phase, allows the follicle to, in a sense, renew itself. Telogen – this process causes the normal hair loss known as “shedding”. All three phases occur simultaneously; one strand of hair may be in the anagen phase, while another is in the telogen phase. 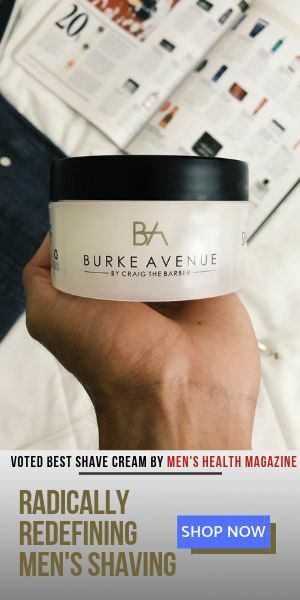 So here’s the bottom line, if you’ve figured out how to prevent ingrown hairs, you’ve accomplished one of the most important aspects of shaving. 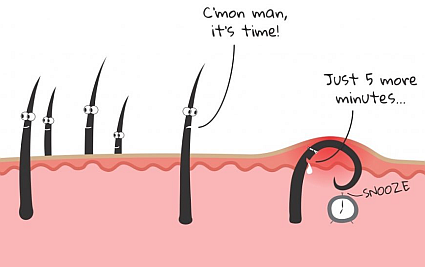 All that’s left is to be aware that a few may return, and be prepared with this – Post: Controlling Ingrown Hairs.